Hugo’s portraits have real power; these are people who are scraping a living in a way that is undoubtedly damaging their health. The landscape they inhabit is an apocalyptic one peppered with recognisable fragments of digital technology. The most appalling aspect of the process is that the technology dump is in no small measure a result of the developed world foisting its cast offs off on the developing world under the dubious rhetoric of reducing the digital divide. The idea of sending old technology that is no longer quite fast enough for our needs to those without computers sounds so altruistic, but the reality is that it’s a way of avoiding the cost of recycling and responsible disposal. Instead of sending people the capacity to join the digital age we are shipping them our carcinogens to blight their lives instead of our own. There is a beauty to these pictures that could perhaps be seen as referencing painting both in terms of the pastoral idyll and the relationship between the landowner and the land. Connections could also be made with the Walker Evans’s photographs of migrant workers in the American dust bowl in the depression of the 1930s. 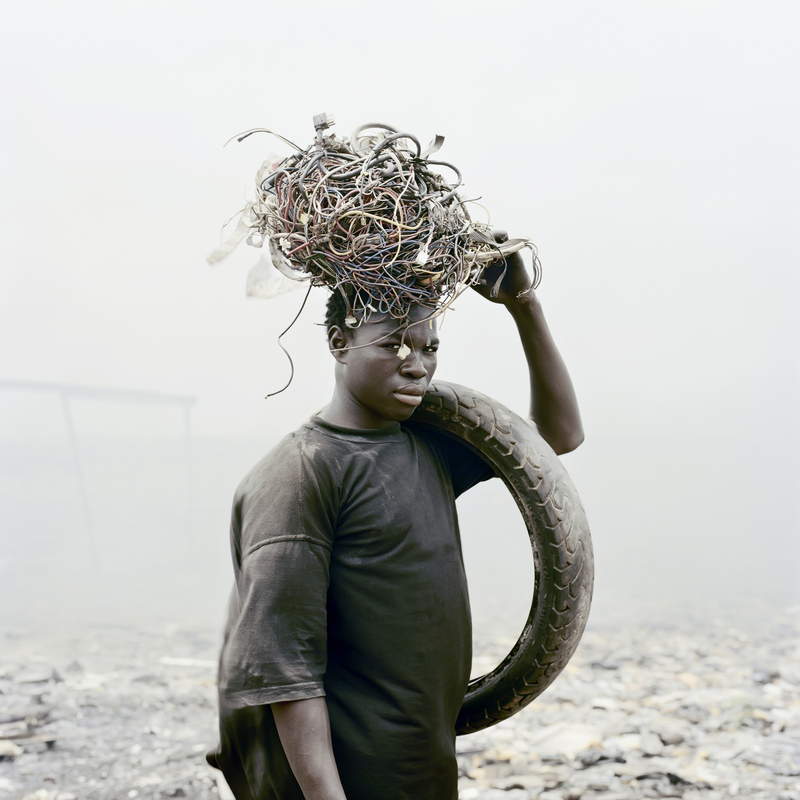 Ultimately though this is a body of work that needs to be seen for what it tells us about the world we have made. If I have a reservation about the way Hugo’s work was installed in the Deutsche Börse exhibition it’s about the display of the video work. 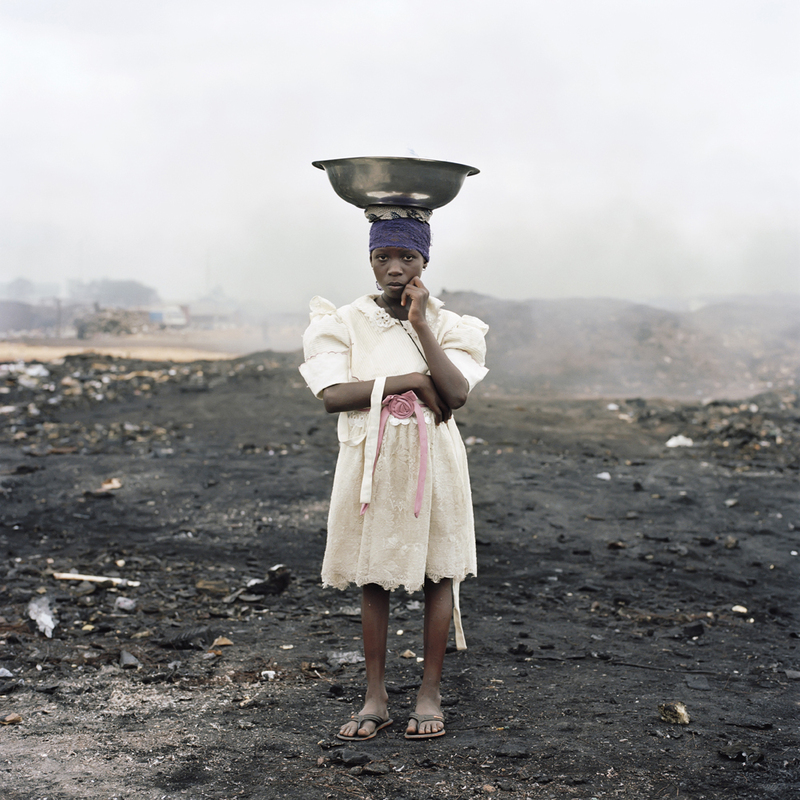 Firstly I think for me the photographs are where the real power of the project lies. Secondly though, and I’m aware I’m being picky, I felt the video would have been better shown on computer monitors: on the type of technology that is at the root of the problem here. 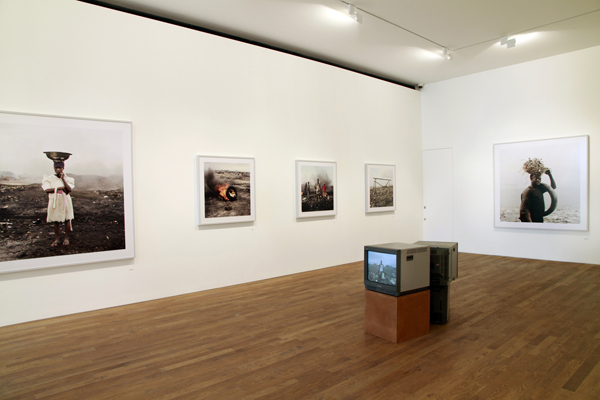 The use of video monitors – expensive equipment that still has a role in galleries and tends to be used until it fails – seemed oddly incongruous to me. It’s possible the monitors were sourced from the dump site in Ghana, I don’t know, but even if they were I’d warrant that for every one abandoned video monitor there are hundreds, maybe thousands, of discarded computer monitors. 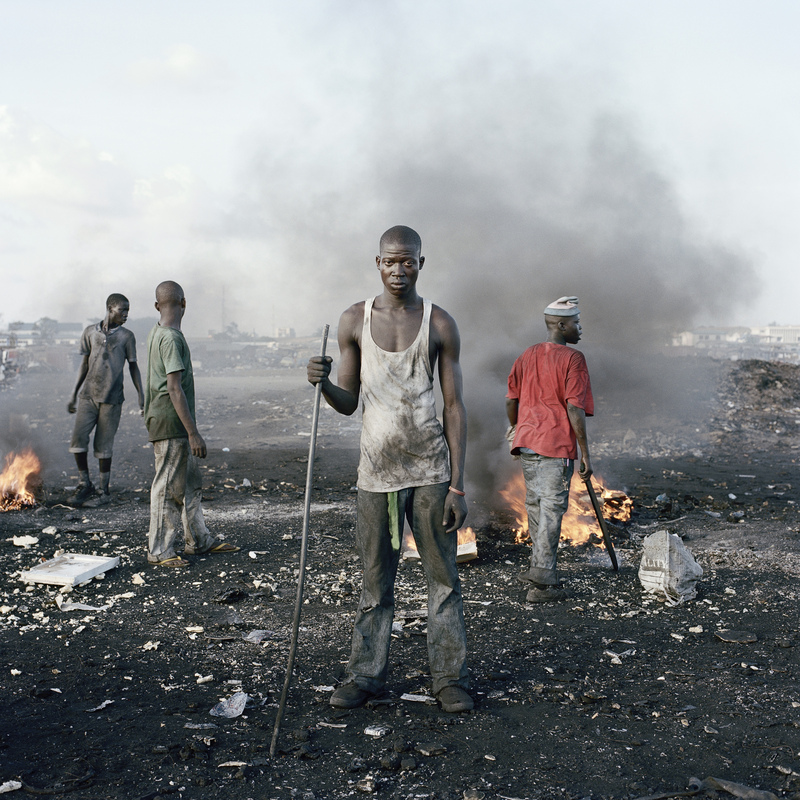 This entry was posted in Photography and tagged art, Deutsche Börse Photography Prize, Permanent Error, photography, Pieter Hugo by Ann Jones. Bookmark the permalink.